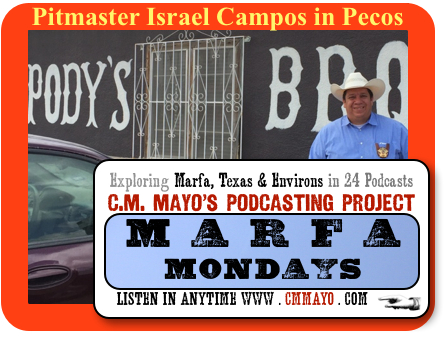 An interview with Israel Campos, award-winning pitmaster at Pody's BBQ in Pecos, Texas. Recorded in June 2015. For more on the "pit" see Daniel Vaughn's article "Consider the Pit: A Guide to the Forges Where Our Barbecue is Made"
"Keep it simple. Cook with wood. Can't beat it. No gas. Just wood. Keep it like the old days."